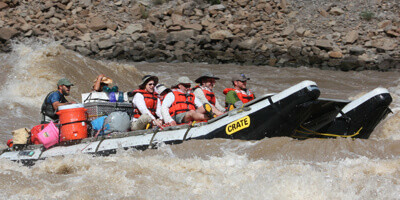 Highlights of Cataract Canyon Rafting Trips with Crate, Inc.
Why Take a Rafting Journey Through Canyonlands National Park? Canyonlands is the kind of place that captures your spirit. 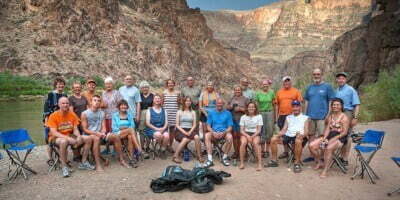 Each time you float down the river, hike up a side canyon or sit on a ledge, you give a piece of yourself to the land. Canyonlands National Park is cut by the Green and the Colorado rivers. 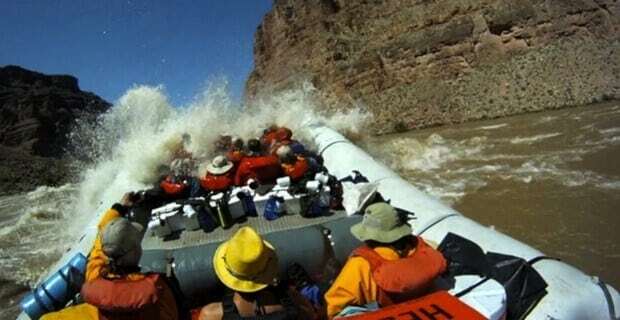 Below their confluence is one of the most exciting stretches of whitewater rapids on the entire Colorado River, which runs through the Grand Canyon. 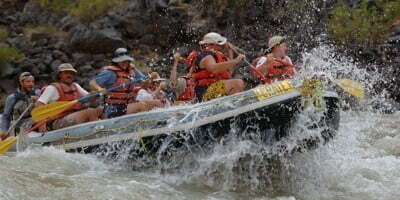 Cataract Canyon’s rapids become bigger than those of the Grand Canyon during spring run-off. 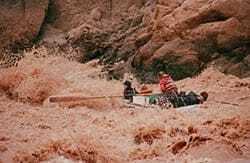 For those who want a less exciting ride, the rapids become much smaller during the lower water levels of the late summer and fall. One of the most important discoveries of John Wesley Powell’s 1869 river expedition was the confluence of the Green and Colorado Rivers. 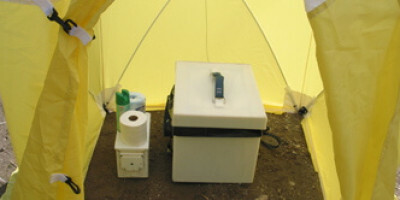 Powell camped for multiple nights, taking scientific readings and plotting the longitude and latitude where the two rivers come together. Today, the confluence is still a very powerful place. 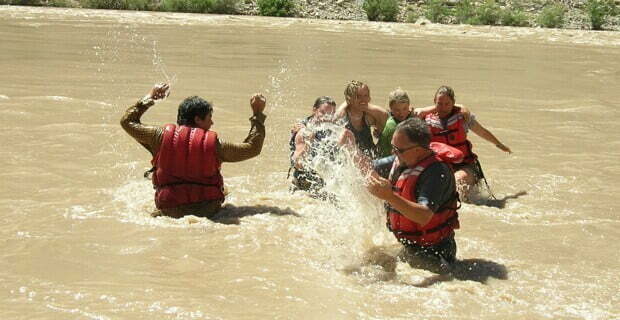 River runners generally consider the confluence the center of the rafting universe. 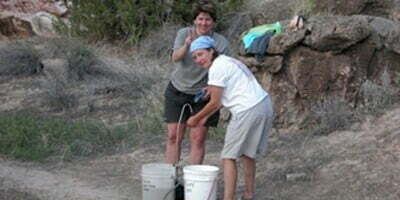 After all, most of what has been learned about running rivers came directly from the Green and Colorado. 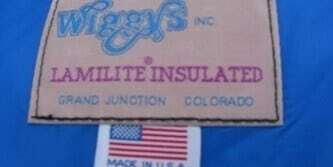 And long before Powell traversed the rivers, Native Americans lived in the area. 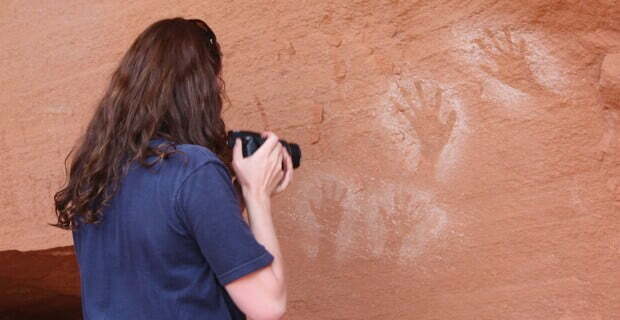 Remnants of their way of life include granaries and rock art. 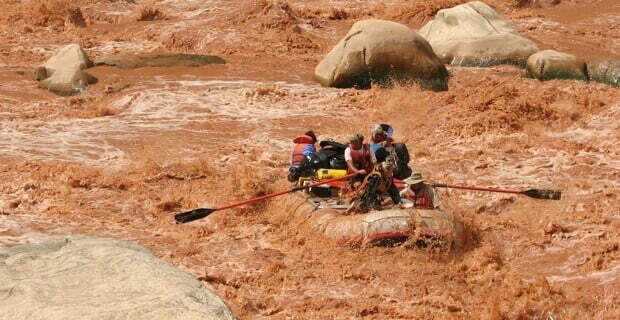 If you’re looking for an all-around river adventure, our Cataract Canyon rafting trip is a great choice for your next vacation. 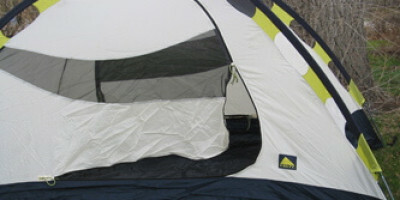 There are many off-river hiking opportunities, the geology is exceptional, the camping is nice, and the scenery is beautiful. In addition, you will have the opportunity to observe wildlife that may include bighorn sheep, mule deer, coyotes, ring-tailed cats, mountain lions, and many different birds. 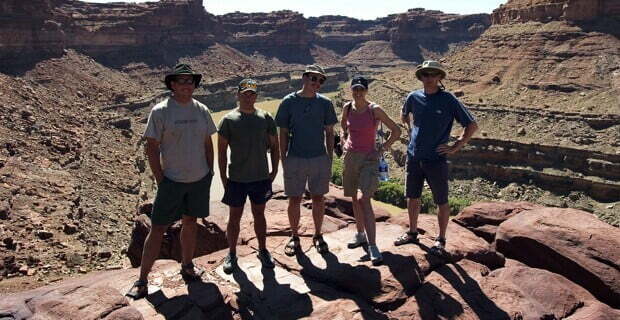 The starting point for our rafting trips in Canyonlands is scenic Moab, Utah. 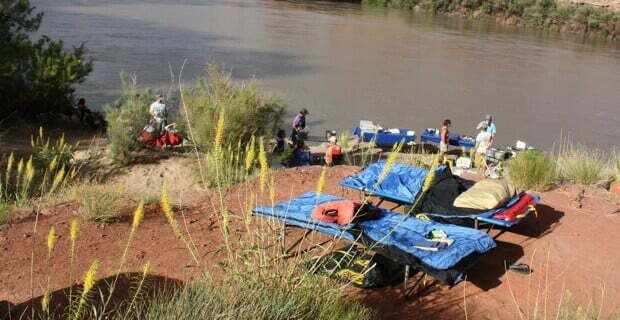 We operate rafting trips on both the Green River side and Colorado River side of Canyonlands National Park. 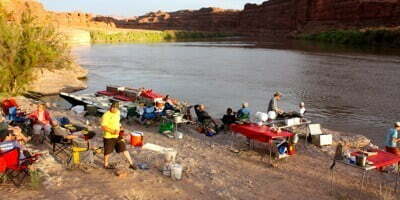 The trips end at Hite Marina on the upper stretches of Lake Powell. 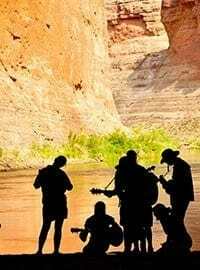 You will then conclude with a scenic flight back up the Colorado River and over Canyonlands National Park to the Moab airport. 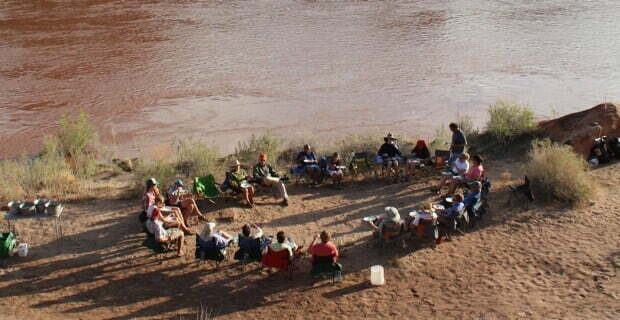 NOTE: All of these trips can be combined with a stay at the Red Cliffs Lodge on the banks of the Colorado River, a horseback ride, and a Hummer tour if desired. 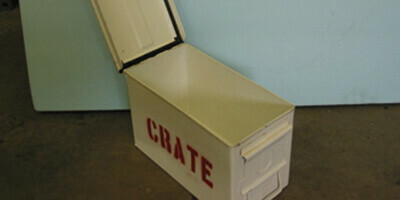 To find out about the added cost of this option just call our office at (800)253-7328. 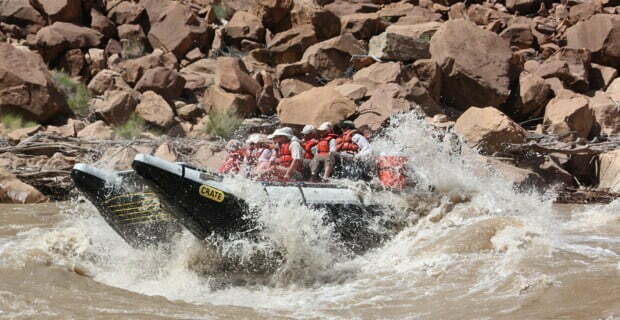 The focus of our 3-day trip is experiencing the rapids of Cataract Canyon. 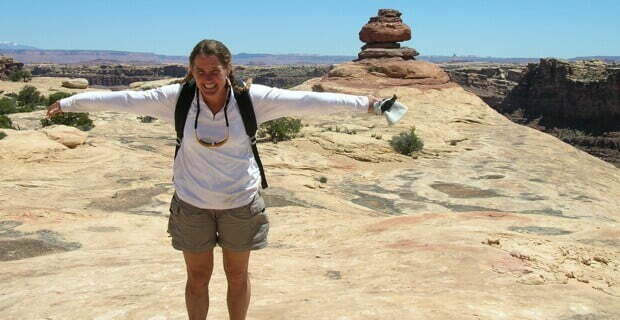 In addition the trip allows for some off-river hiking and time to relax and enjoy Canyonlands National Park. 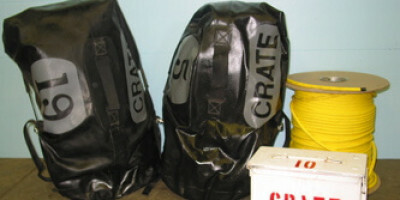 During most water levels we use are sporty 22-foot motorized rafts. 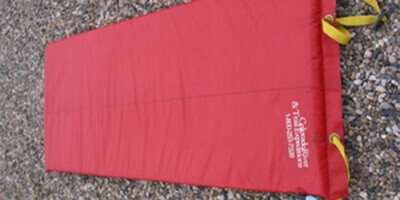 During extremely high water we break out our custom designed 35′ rafts. This trip generally originates in Moab and ends with a scenic charter flight back to Moab. Our 4-day itinerary allows plenty of time for some great off-river hiking, as well as extended periods of peace and quiet for relaxation and contemplation. 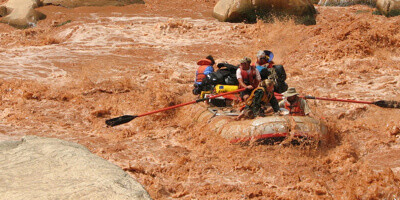 During most water levels we use are sporty 22-foot motorized rafts. During extremely high water we break out our custom designed 35′ rafts. 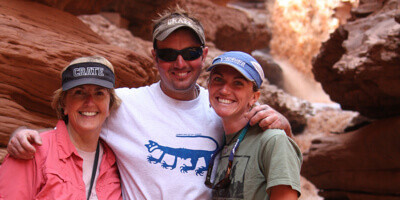 This trip generally originates in Moab and ends with a scenic charter flight back to Moab. 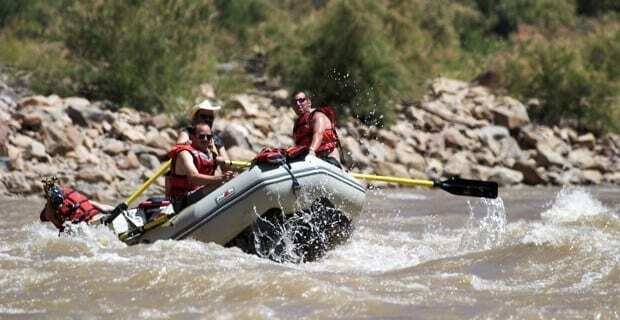 Our 6-day itinerary uses oar rafts, and people powered paddle rafts if requested to navigate the river and rapids. 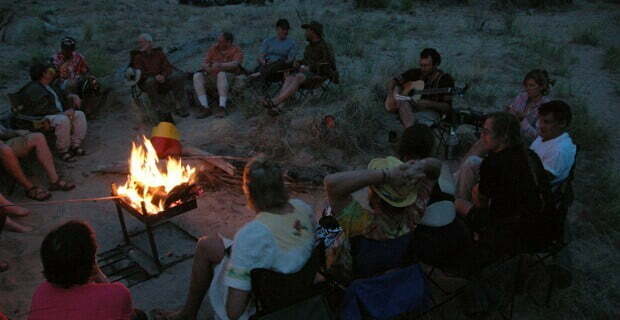 Mid-summer is a great time for this trip as the water has dropped exposing nice sandy beaches and the river has warmed up allowing for swimming and playing in the water. 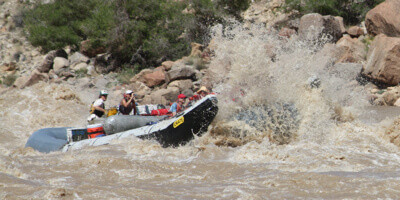 The rapids are still exciting, but not as big as during the high flows in the spring. 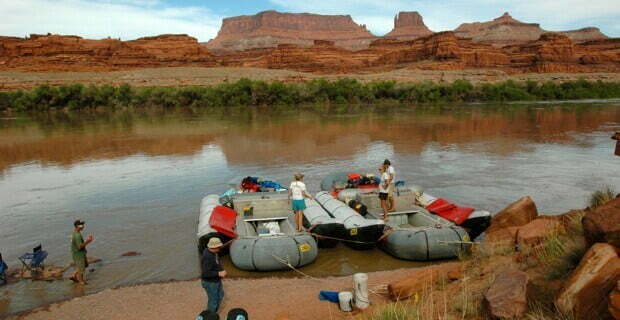 Explore the wild and remote backcountry in Canyonlands National Park on this special rafting trip that emphasizes off-river hiking. Hike to the Doll House in the Land of Standing Rocks, follow a rocky trail into the Maze, and see the canyon country from spectacular view sites. 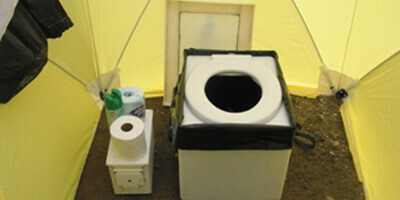 Enjoy spring wildflowers and blooming cactus along the way.